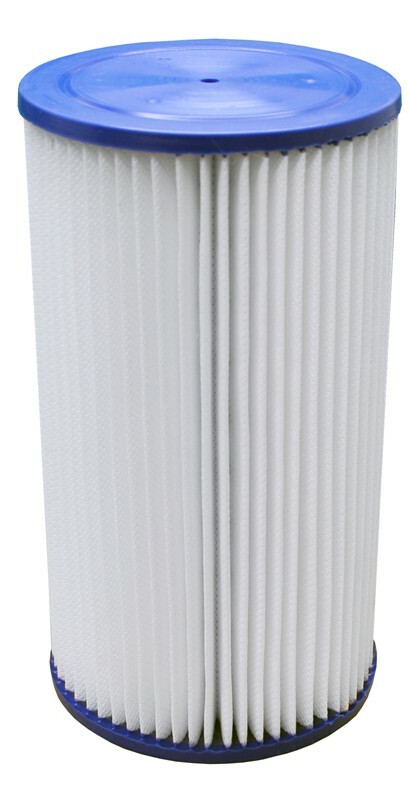 The filter cartridge that is used in the AquaClarus Filtration System. Inner diameter 55mm, outer 113mm and height 200mm. The filter which has a surface area of 1,2m² effectively takes care of impurities in the water supplied by the pump. It needs to be rinsed now and then depending on usage.